Scegli una password di ferro (8 caratteri minimo di cui almeno una maiuscola, una minuscola e una cifra). Creando un profilo, confermo di aver preso conoscenza delle CGU, della Politica sulla Privacy e della Politica dei Cookies di Roomlala e le accetto. Roomlala utilizza i tuoi dati per fornire e migliorare i suoi servizi. Come riportato qui, benefici di un diritto di accesso, di rettifica, di eliminazione e di opposizione all’utilizzo dei tuoi dati. Puoi esercitare tali diritti o eliminare il tuo profilo dal tuo profilo Roomlala o scrivendoci un’email a dpo@roomlala.com. La Salamandre is a place where groups and workshops can be welcomed. It comprises 17 beds, divided into 7 rooms, 2, 3 or 4 rooms, with the possibility of 5 additional removable beds. A dining room of 90 m², a professional kitchen of 30 m² and a bakehouse. A terrace of 130 m², a room of awakening body of 90 m². The salamander is an agricultural structure of polyculture breeding, our desire is to produce in the farm to serve in the plate. On a ground of 30 hectares of meadows, moors and forests, it is a land of awakening powerful, a quiet and preserved space, conducive to rejuvenation. House And Garden With A Clear View. I make the finishes in this large house already comfortable and healthy. Or else I am elsewhere to work. I have two additional rooms which I propose to you in the short or long term. The village is unique and overlooks the valleys of Maravel and Drôme. This site is popular with walkers and paragliders. Between Vercors and Provence, in the midst of meadows and woods, we welcome you in a mill-farm seventeenth completely renovated. The foothills and mountains. 4 charming rooms, a heated pool, garden, home. Just you and nature. Belle chambre lumineuse et agréable dans maison ancienne de Saillans. A deux pas des bords de la Drôme et de ses plages ainsi que commodités du village: boulangerie, tabac, pharmacie, supérette, poste...Lavabo dans la chambre, petit coin lecture avec canapé et bureau. Fumeurs acceptés. Village accueillant et vivant. Nombreuses possibilités de départs pour randonnées, escalade, VTT, canoé, et sports d'eau vive et Nature. Accès à la gare et aux bus. Petit déjeuner compris dans le prix de la nuitée. Dîner en sus. Accès frigo, cuisine. It remains 1 room furnished in shared flat in T4 66 m ², done again for nine. Including charges. Bright contemporary decor in residence with park. 3rd floor without elevator exceptional view of mountains. Bike garage free parking. Warm room, spacious living room, functional kitchen, relaxing bathroom. 5 minutes from bus 16, C7, tram A and train station. Near shops, cinema, bowling, swimming pool. 10 min Grenoble, 20 min university area St Martin d'Hère and GEM. WiFi, sheets, towels and cleaning provided. Individual lease, APL. 1 bedroom will be released, all charges included, in a T4 of 69 m², renovated, comfortable, bright. On the 4th floor, no lift, beautiful views of the mountains. Bicycle garage, parking and private green area. Close to amenities: shops, health center. By public transport: 10 minutes from the center of Grenoble by bus by tram, 5m from the IFTS, 10 minutes from the school of physio, 30 minutes from the university, the management school, 5 minutes from the train station. 5 minutes from Pont-de-Claix and 10 minutes from Eybens. Nearby: swimming pool cinema bowling ice rink museum. Contemporary interior design: large warm living room, functional kitchen, elegant bathroom and 3 beautiful bedrooms await you. You will be conquered whether you are a student, trainee or employee. APL possible. Cleaning 1 / week, sheets and towels provided. Currently 2 men employees traveling the week working in 2 different companies. Beautiful appartement, very light with 3 bedrooms, 2 bathrooms, fully equiped kitchen, dressing, closed parking. I offer a room with a bathroom next door. I would prefer a student. I am in a spacious house near a large park with health trail, located near a village, but 15 minutes from downtown Valencia. Access to the common: kitchen, living room, TV, WIFI, parking. Car essential. Calm, tranquility and serenity are important to me. However, I welcome a person who also shares these values. I like reading, cinema, art and the arts in general. I like to communicate, but I like to be respected, so I also know how to be discreet. Loue à étudiante ou stagiaire non fumeur chambre meublée 11m² mezzanine 4m² dans appartement au 1er et dernier étage dans copropriété calme au 1er et dernier étage Accès cuisine, salle de bains Accès wifi, possibilité APL Proximité Tram A (Denis papin) à environ 500m. Chambre de 12 m2 à louer dans un grand appartement de 83m2, au 7e étage. Vous avez accès à la cuisine aménagée, la salle de bain et toilettes. Vous avez la Wifi. L'appartement est bien chauffé. Le parking privé est fermé par un portail électrique. Le quartier est calme, situé à 5 mn à pied des commerces (épicerie, boulangerie, pharmacie et tabac). Le tramway est à 5mn à pied de mon logement. Le cinéma et restaurants sont à 10mn à pied. La campagne est proche également. A bientôt. Rent a room at the Habitant, Chabeuil, near the Vercors, 5 minutes from Valence, Malissard, Briffaut and 10 minutes by bike from the airfield. In a very quiet area. Occasional monthly or weekly rental for trainees and professionals. Linen included. Bike available. Table d'hôte possible in addition. Internet, heating included. Grande chambre dans maison à Échirolles, coin télé, parking sur place, bus C7 vers campus et C3 vers centre ville et Alpexpo à 100 m Près de la clinique des Cèdres, de l’hôpital sud et de l'institut des médias. Cinémas et centre d’Échirolles à 10 mn à pied Zone calme, proche de la nature, frange verte à 200 m départs pour des balades en foret. Bedroom of 13 m², access to the kitchen, bathroom, living room. Facilities: washing machine, dishwasher, linen and towels. To rent a furnished room for students (your) or employees who do an internship in Valencia. All utilities included, including central heating, sink, fridge, induction hotplate, pots, high speed internet, TV, washing machine, true billiards, and a separate entrance. In a villa with a garden in a quiet residential area. In the near Camille Vernet neighborhood, near the Briffaut faculty, Montplaisir and the barracks of the Spahis, University Pole Latour Maubourg and the Hospital of Valencia. Transport: Direct bus to the faculty and the city center (lines 4, 6 and 13). Private room 35 m2 with independent entrance, king size bed, bathroom, toilet and private dressing room, small sitting area, coffee maker, fridge, microwave, flat screen tv, internet access. the room is on the ground floor of the house with direct access to the garden (shared) The garden is shared, garden furniture available (table chairs chairs.) our house and the ideal compromise between ballads or skiing in the mountains and outings in town. Grenoble 13km, Laffrey lakes 7km, Chamrousse 30km Vizille Castle 3km Ideal for business trips, courses, training. The accommodation is located downtown, in a quiet and wooded area. You will enjoy the completely renovated space, perfect for couples and solo travelers. The cat Gribouille, ensures the cheerfulness of the place. The room is large enough to accommodate, in addition to the bed (1 orthopedic mattress 160 * 200 twinned twin), a desk and two dressers. Parking is possible in the courtyard. Allow 5 € cleaning per week, regardless of the number of nights. Sheets and towels provided. Possible pricing in incomplete week and complementary discount on duration commitment. Announcement also published on the right corner and Airbnb, so the calendar may not be up to date. A nice room to accommodate a person in a villa with garden and pool in Valence town, in a family with a schoolboy child. The room is located on the 1st floor. We go into town every day by car, so we can drop you off there. I also offers the preparation of breakfast, lunch and dinner, with a supplement. From the region, we are at your disposal if you need help. Hiking trails are directly accessible from the house. Looking forward to meeting you! Montélimar, detached house on the edge of the countryside, in a residential area, quiet with private parking. Rental from Saturday to Saturday. You are looking for an accommodation for a discovery holiday, Provencal house with a warm atmosphere for a week or more, ideal starting point to discover La Drôme Provençale, old town or medieval villages, castles, circuit of lavender or Rhone wines, farm crocodiles, nougat factories, and many museums or entertainment at your disposal, ideally located 3 minutes from downtown, in the heart of the Drôme Provençale. At your disposal 50 m² habitable, south-east terrace for meals and barbecue. 2 bedroom apartment completely renovated, including a double bedroom and a bedroom with 2 single beds. It contains all the necessary equipment (washing machine, dishwasher, microwave oven, etc.) Close to Valence and Montélimar (15 min by car) as well as many sites to visit in the region. At the bottom of the building there is a Leclerc 5min walk as well as 3 restaurants and 2 fast food (tapas, tacos, etc.). House Mimosa with private parking. Rent from Saturday to Saturday, and stay connected with WiFi. We are happy to welcome couples, wanting to spend a pleasant holiday, 2 steps from the center of Montelimar. House of 49 m² with kitchen and dining area fully equipped: oven, dishwasher, refrigerator, microwave, crockery complete. Laundry room: washing machine, dryer, iron, etc. Shower room with double sink, etc. Room with a bed of 140, wardrobe, dresser. Lounge: TV, storage. Terrace, garden furniture, dining area, barbecue. Swimming pool open from 15/05 to 15/09. Desideri trovare una locazione a Aix-en-Diois ? Aix-en-Diois è un'affascinante città situata in Francia. Con Roomlala, gli abitanti Aix-en-Diois sono felici di accoglierti, poco importa la ragione della tua locazione (turismo, viaggio, lavoro, stage, studi, ecc.). Il sito è a tua disposizione per aiutarti a trovare una locazione arredata a Aix-en-Diois o una camera presso l'abitante a Aix-en-Diois. Quale é la differenza? Affittando una camera presso l'abitante, affitti principalmente una staza, nell'alloggio di un abitante di Aix-en-Diois. Trovare una locazione arredata a Aix-en-Diois equivale ad affittare un monolocale, un appartamento o una casa in cui il proprietario non vive. In entrambi i casi, le locazioni offrono servizi obbligatori. Grazie a Roomlala, puoi trovare un coinquilino o dei coinquilini a Aix-en-Diois. Se hai già trovato un alloggio (casa, appartamento), puoi semplicemente publicare un annuncio gratuito per cercare i tuoi futuri coinquilini. Se non hai ancora un alloggio o dei coinquilini, puoi trovare una coabitazione a Aix-en-Diois, nel quartiere che più Aix-en-Diois ti piace, per brevi o lunghi periodi (camera in affitto al mese, all'anno). 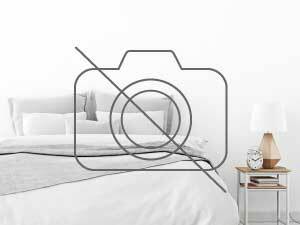 Per i brevi soggiorni, la nostra piattaforma vi permette ugualmente di cercare una camera presso l'abitante a Aix-en-Diois o un Bed and Breakfast (camera a notte) a Aix-en-Diois, in prossimità di luoghi turistici di Aix-en-Diois. In occasione di un alloggio per le vacanze a Aix-en-Diois, puoi visitare i luoghi caratteristici e passeggiare per la città. Un'altra possibilità: cerchi un alloggio in cambio di servizi a Aix-en-Diois ? Roomlala ti propone annunci di locazioni in cambio di servizi come babysitter, aiutare le persone anziane, sostegno scolastico, assistenza a domicilio, alloggio intergenerazionale, aiuto studenti, portiere, soggiorno au pair, ecc. Iscrizione confermata. Puoi effettuare la tua richiesta di locazione.